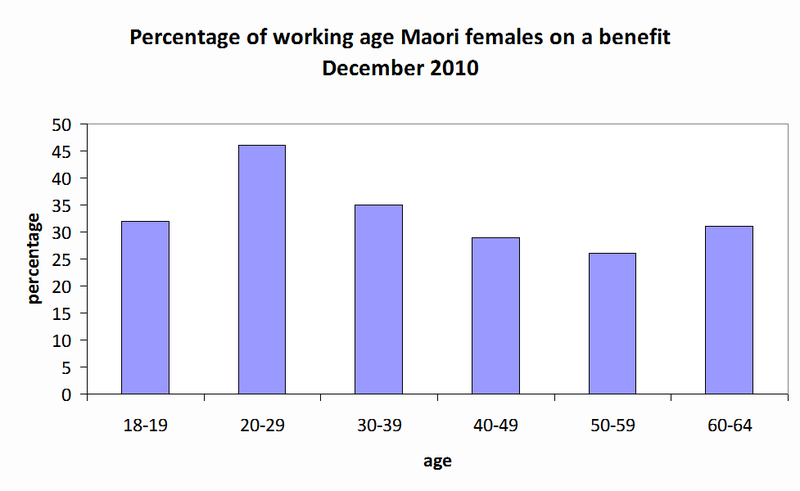 The December 2011 benefit factsheets have been released. The DPB total climbed a further 1 percent over the year to reach 114,230. the work-testing implemented in September 2010 hasn't made an impression yet. I wasn't alone yesterday in interpreting media reports about women breastfeeding while driving as applying to women drivers, such was the implied sense of outrage. Look at the NZ Herald coverage. They have a photo with a caption, Breastfeeding behind the wheel has not impressed the police. But the content of the report says nothing of the sort. The three mothers observed were passengers. OK. Still an element of risk but an entirely different scenario. I can't even be sure I didn't do this myself, in the backseat, with the seatbelt over the baby and myself, when it wasn't possible to just pull over and the baby was getting very distressed. Of course, if the baby was bottlefed that could be achieved more safely in transit. But wait, what about the outrage over bottle-fed babies? Don't under-estimate the potential of the current extraordinary pressure to breastfeed resulting in some people thinking they are doing the right thing regardless of circumstance. Then there is the punishment for this 'reckless' act. A $150 fine. So the mother is going to be $150 poorer. That's $150 less to put food in her children's stomachs. BUT IT WASN'T THE CHILD'S FAULT. Isn't that the argument advanced whenever we hear about children going hungry because their parents have spent their budget on the wrong things? Personally I don't accept this objection because it allows parents to use children as hostages to their own interests. Nevertheless I increasingly find 1/media hype 2/ police nannies and 3/ inconsistent attitudes very tiresome. Simon Collins has typically turned up another case of someone who doesn't want to work if it doesn't pay better than being on a benefit. Significantly better. She isn't unusual. Not by any means. 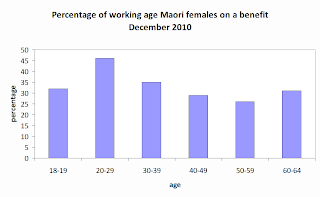 Read it and recall that 46 percent of Maori females aged 20-29 are on welfare. Another baby, 2-month-old Hinekawa Topia, has died in hospital of a head injury police do not consider accidental. Another round of hand-wringing ensues. Social Welfare Minister Paula Bennett reminds critics that she issued a Green Paper on Vulnerable Children six months ago and it is open for discussion until the end of February. Labour's spokeswoman Jacinda Ardern repeats a call for a cross-party study of abuse as an issue of child poverty. All of this, of course, leaps far ahead of the known facts in the latest death which is under police investigation. The officer in charge of the homicide inquiry warns against leaping to conclusions. But it does no harm to be reminded yet again that this country must do something about its high rate of child abuse and that it should be a subject beyond political point-scoring. Separating politics and social problems is not possible. Politicians make policy. Even the repeal or reform of bad policy requires political action and it will always be contentious because human interests will always conflict. So far the Government has spurned Labour's request to be included in a study of child poverty, which is to be undertaken by a committee of ministers. The Government sounds serious in its undertaking to do something for children in impoverished circumstances, just as it must want to reduce the country's incidence of child abuse. But it will be wary of confusing the issues. Not all children in poverty are abused, not all abuse occurs in poor households. There may be a heavy co-relationship between them but each problem deserves dedicated attention. Neither should be happening in a small society with well-developed social services, good accessible schools and reasonable levels of income support. What is a "small society"? This may be a small country in terms of land mass and population but it is not a small society. A society implies common values, interests and interdependence. Does anyone believe that describes NZ today? But still we get cases such as Mikara Reti, killed last January by a blow to his liver, aged 5 months, Serenity Scott in April, dead of brain injuries, also 5 months, baby Afoa, a week old, whose body was found in a makeshift grave in June and James "JJ" Lawrence, 2 years old when he was killed in November. Every possible way to prevent these things should be considered. No civil liberty should stand in the way of a practical precaution, no ethnic sensitivity must restrict useful discussion, no political agenda should apply. All New Zealanders care for these children and all want them to be raised safely and well. Again, this is unworkable. The writer advocates the suspension of civil liberties but wants it disassociated from political agendas. Some of us actually value civil liberties. And we are sophisticated enough to understand the fight for them goes beyond that of our own. Ironically , when the overall tone of the piece is considered, even the writer has their own political agenda. That is their tacit belief in collectivism and assumption that it is desirable for government to dominate social spheres. Ah. Too late for me to say, I told you so. Well, I can to my husband. But I didn't blog about my suspicion that the Turangi attack might be a gang-initiation act. There was no sign that the offender was mentally unstable, no record of him acting similarly in the past, no record of him interfering with other children from an early age, no previous sexual assaults. And the circumstances didn't describe a temptation that just happened to present itself. An ulterior motivation was the only explanation that made any sense to me. Well, whichever gang it was, he'll be able to join them inside. He'll need to.